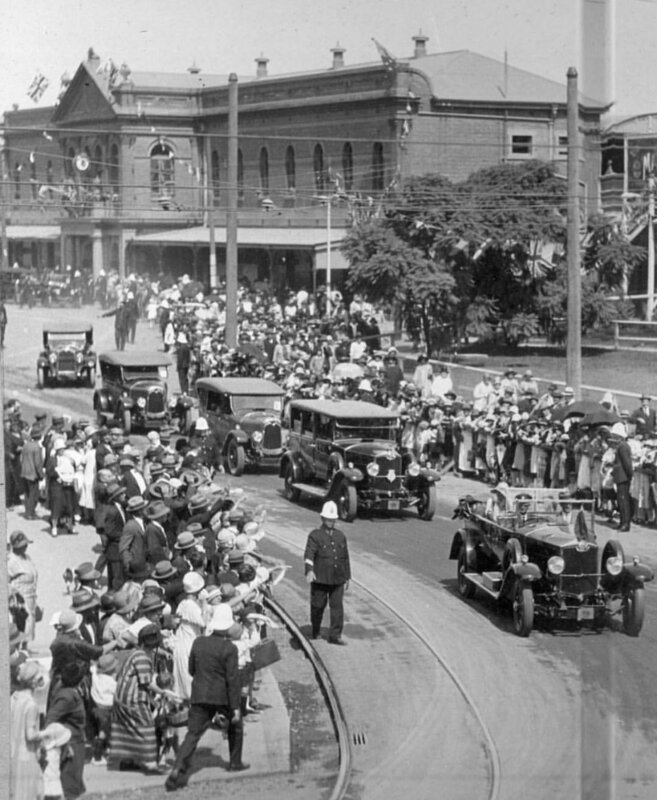 Friday flashback to vintage Brisbane of 1927 and a celebratory parade passing South Brisbane train station. The dignataries in the front car are the Duke and Duchess of York. It's wonderful to know that all these years later this building is still standing and operational.